Israel's Jewish population has increased its birth rate significantly in recent years, and is now almost on par with the Arab birth rate. No longer behind the “demographic eight ball,” Israel's Jewish population has increased its birth rate significantly in recent years – to the point where it is now almost on par with the Arab birth rate. In 2014, according to statistics released by the Central Bureau of Statistics, the average Arab woman in Israel had 3.17 children, compared to 3.11 for Jewish women. In 2000, those numbers were far different, with Arab women having an average of 4.3 children, while Jewish women bore 2.6 children on average. Demographers said that the 0.6% difference between the Jewish and Arab birth rates is “negligible,” and if the demographic trends that have been in effect for the past decade continue, the Jewish birth rate will eclipse the Arab one. The data was released in honor of International Children's Day, which is being commemorated this week. With that, the results of the previously higher Arab birth rate is likely to affect Israeli society for years to come. According to the CBS statistics, in 2014 there were 2.74 million children 17 years of age and under in Israel, 71% (1,945,000) of whom were Jewish, 26% (713,000) Arab, and 3% “other,” including non-Arab Christians, children of non-Jewish Far Eastern and African immigrants, etc. A deeper look at the statistics indicates that 41% of the Arab population is 17 and under, compared to 31% of the Jewish population, and 23% of the “others.” Among Jewish children, 97% were born in Israel, and 78% of them had a father born in Israel as well. A full 92% live with both parents, and of the 8% who live with one parent, nearly all (93%) live with their mother. The statistics clearly show that the more secular a city, the fewer children it has in ratio to the population. 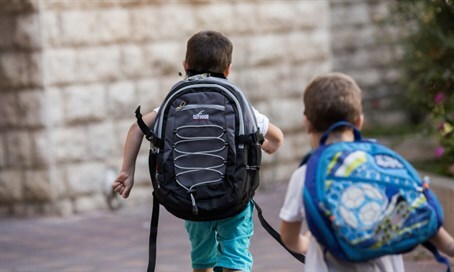 Of cities with at least 100,000 residents, Bnei Brak easily qualifies as the most “child friendly” town, with nearly half its population 17 or under. Other cities with very high juvenile populations include Jerusalem, Kiryat Sefer, and Ashdod. The least “popular” cities for kids are Haifa, Ramat Gan, Bat Yam, and Holon.